Spring is in full swing and summer is right around the corner. If you work in agricultural, turf, landscape, or structural settings, you are probably at your busiest. 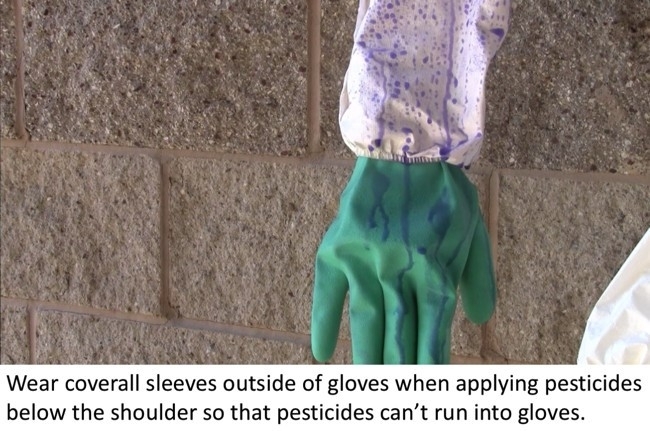 If you handle pesticides as part of your work, you most likely wear some sort of personal protective equipment (PPE). However, do you know if you are wearing the right type for the job that you do? Wearing the appropriate PPE, taking it off the right way, and correctly cleaning it prevents unnecessary pesticide exposure to yourself and others. 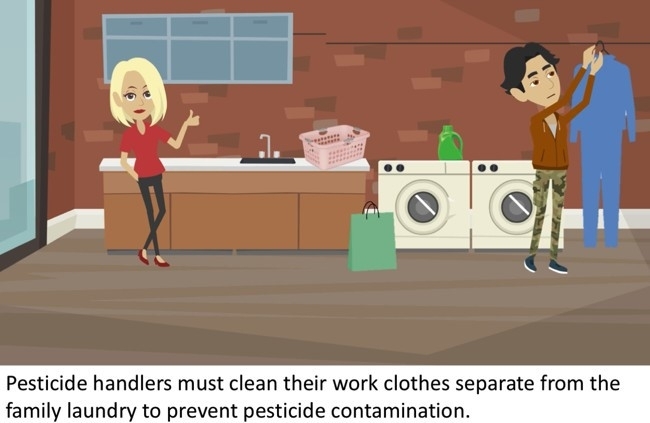 Learn the steps so you don't expose your family members or those around you to pesticide residues by viewing a brand new online course on Proper Selection, Use, and Removal of Personal Protective Equipment from the UC Statewide IPM Program (UC IPM). The course is approved by the California Department of Pesticide Regulation (DPR) for 1.5 hours in the Laws and Regulations category. This course is designed for all pesticide handlers with the goal to provide them with information on pesticide labels and the California Code of Regulations (CCR) to help them select, wear, remove, and dispose of or store PPE. In California, all pesticide handlers (applicators, mixers, loaders, those who transport pesticides, or those who fix application equipment) are legally required to wear PPE. 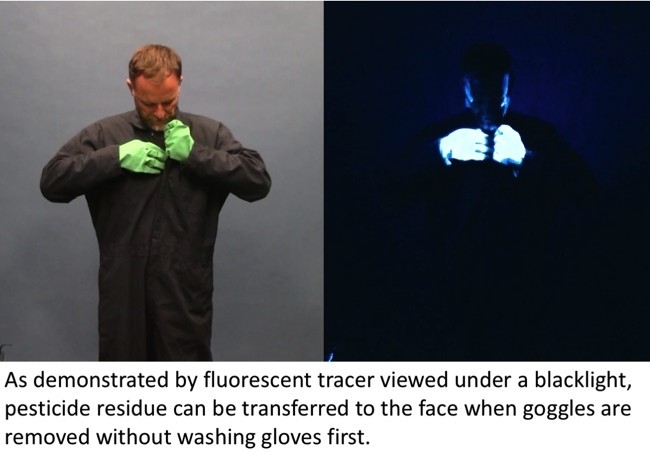 However, in order to get the most protection from PPE, it must be used correctly. Violations involving the incorrect use of PPE were the second most commonly reported type of agricultural-use violation in 2017 as reported by DPR (PDF). The new PPE online course opens with a scenario describing a real example of an accident reported to DPR that led to an incident of pesticide exposure because the correct eye protection was not worn. The content that follows is divided into six instructional modules, highlighting types of PPE, how to select it, and when certain items should be worn. Answer short questions about the different types of PPE. Open pesticide labels to learn how to select the right PPE and learn when certain items should be worn. Short how-to videos and animated sequences demonstrate the proper way to put on or remove items such as gloves, coveralls, respirators, and eyewear. You must pass a final test with 70% or higher to receive your certificate of completion and continuing education hours. If this is the year to renew your license with DPR, get a jumpstart on it. Take this new course and all the other UC IPM online courses to refresh your knowledge and get the CEUs you need. There is a $30 fee for taking Proper Selection, Use, and Removal of Personal Protective Equipment. You are welcome to view the content for free on YouTube, but without the activities, final exam, and continuing education credit. For more information about license renewal, visit DPR.